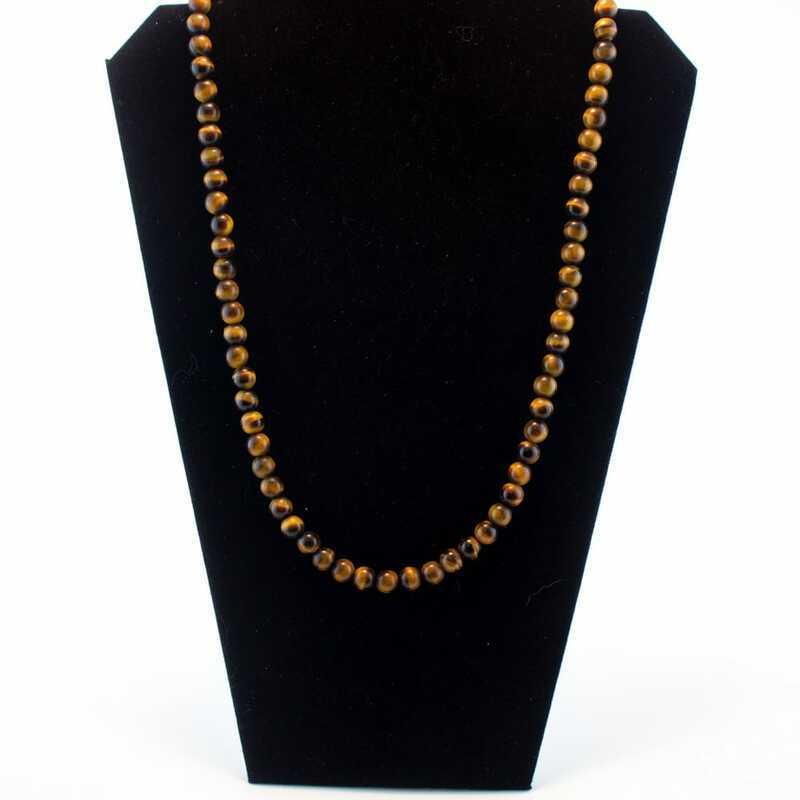 In appearance, Tiger Eye is a shimmering stone with combinations of brownish-yellow and golden colors. It is a chatoyant stone meaning that it shows bands of bright reflected light and gives off a silky luster with a “cat’s eye” effect. Tiger Eye is a Quartz replacement of Crocidolite (blue asbestos) and was first reported in 1892 by J.D. Dana, and was named after its appearance to an actual Tiger’s eye. It is mainly found in East Asia and South Africa but can also be found in India, Burma, Australia, Namibia, United States, Canada, Brazil, and Spain. 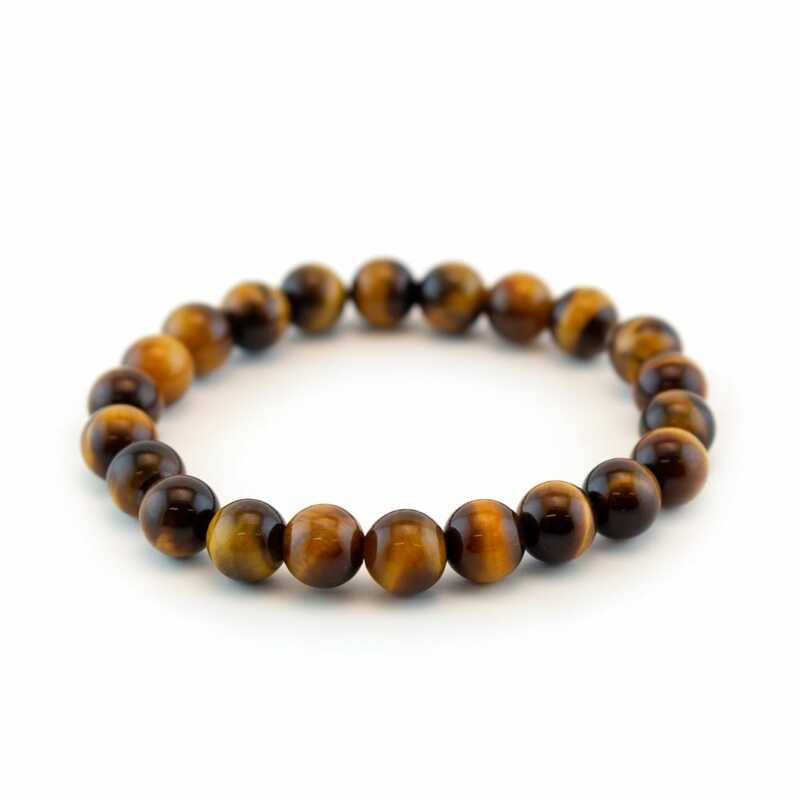 Tiger Eye gives off a strong solar energy and powerful vibrations of vitality, clarity, and creativity. It stimulates the first three chakras, keeping one grounded and calm while pushing one forward into physical action. It calls upon primal strength which energizes the body, strengthening and fortifying the physical body. This also immensely boosts one’s willpower and creative energy giving one the desire to create and the vigor to carry these desires into the physical realm. It assists with overcoming fatigue and discouragement so that one can fully carry out the directives of the will. Tiger Eye is also a stone of mental clarity and balance, sharpening the intellect so that one may act effectively and practically. It enhances one’s logic, aids in balancing polarities, and opens one’s mind to paradoxes. 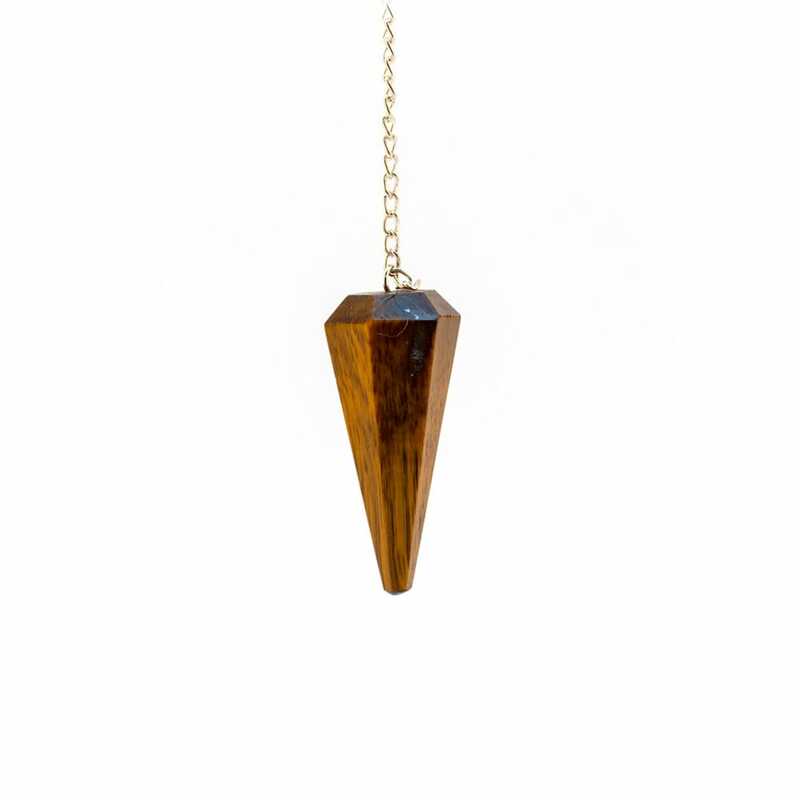 Tiger Eye is a great aid in disagreements, allowing one to see all sides even if they differ greatly. 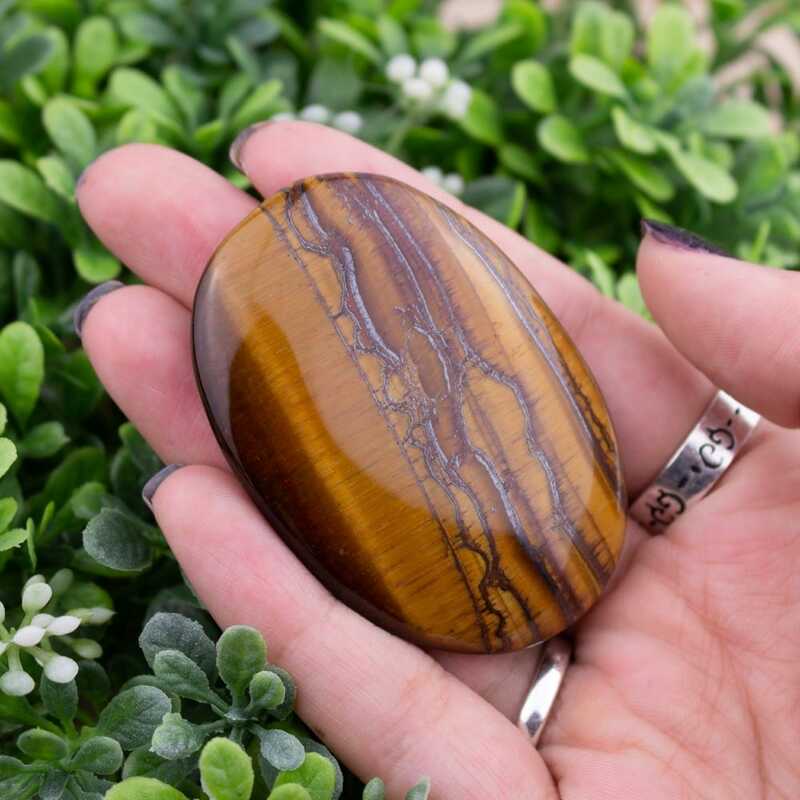 It is recommended to carry Tiger Eye when partaking in difficult negotiations as it can enhance one’s willingness to reach an agreement and inspire a similar reaction from the opposite side. This works well in relationships of all kinds as it assists in coming to a point of emotional harmony with others. It also helps one to establish spiritual balance and stamina, allowing one to stay grounded in their faith. Physically, it aids in hormonal balance and is used to maintain health in the lungs and reproductive organs. 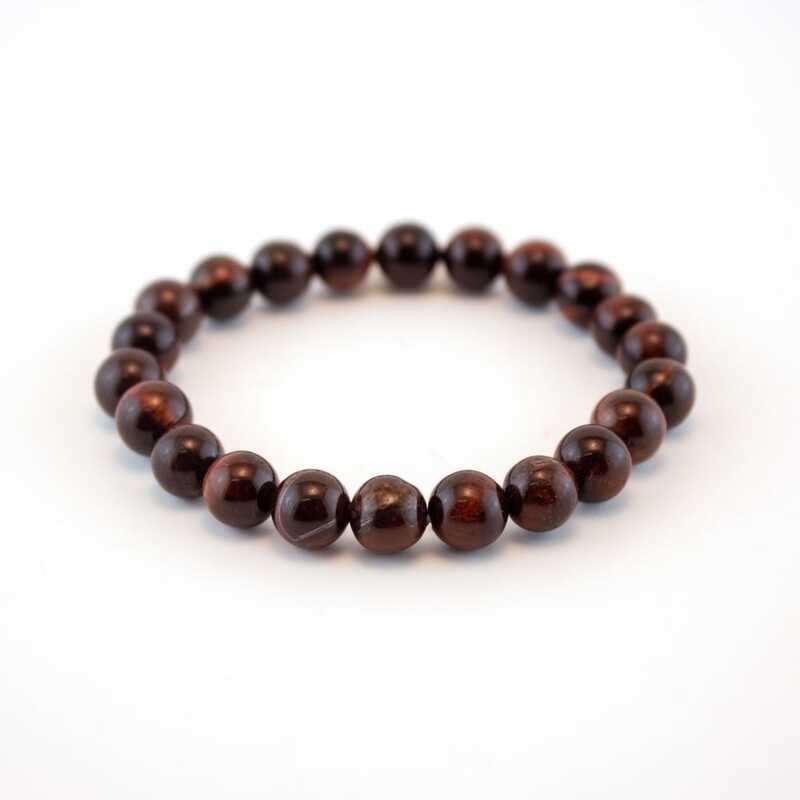 It is recommended to wear Tiger Eye bracelets and rings primarily on the right arm because it may cause one to over heat when worn on the left. Tiger Eye harmonizes well with Malachite, Charoite, Seraphinite, Jasper (most types), and Quartz (all related). Adding Moldavite enchances positive transformational energy that helps in becoming unstuck from certain binding situations through the Tiger Eye’s vitality and strength.